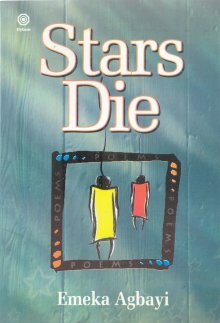 The title of Emeka Agbayi’s poetry collection, Stars Die, and the beautiful cover illustration, two hanged bodies dangling from ropes, send an unmistakable message of despair. Given the recent Nigerian history replete with mindless acts of violence, the massive pauperization of Nigerians and the virtual erosion of opportunity for creation and multiplication of beauty, there cannot have been a better choice of title and cover design. As if Nigerians had not already been humiliated well enough by the long years of harsh military experience, AIDS has launched its own scourge and aggressively munches off the already weakened will to live. In the face of all these, it would require a super human effort to still cling to hope. Stars Die has about thirty seven poems, which are divided into five sections: Soliloquies, Nature, Love and Life, The Patriot and the Critic, and, On Death and the Dead. Attempts are made to restrict the central ideas of the poems to the above sections. But as is true of works of art, boundaries are not always sharply delineated. 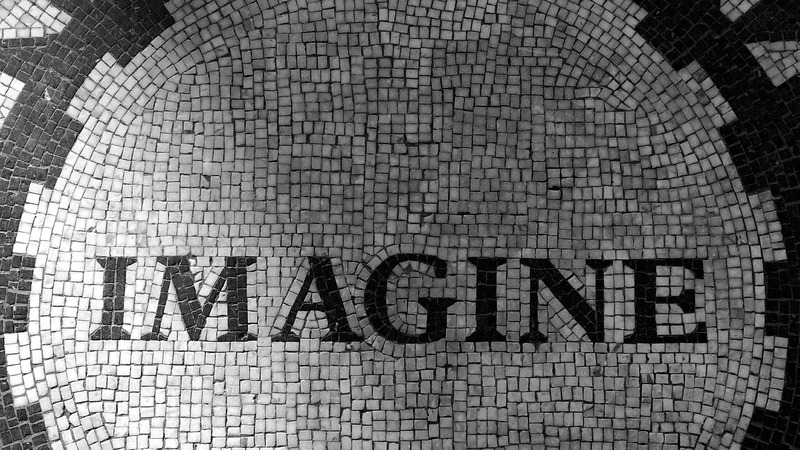 Poems often brim with meaning and in so doing defy even the space allotted to them by the poet. The title poem, ‘Stars Die,’ (69) exploits the well known idea: ‘low-mass stars die quietly, while high-mass stars die in tremendous explosions (NASA Website)’ pure natural occurrence, to draw attention to our vulnerability as humans. Whether we make much noise at our death or just extinguish in darkness, fact is that we ‘die too’ (69). This, of course, is not symptomatic of the entire collection. ‘Sing to me of Stars’ to me allows us a greater space to have a peek at the poet’s talent. He begins to communicate, and in doing so begins to relate. He gives his poem measured beats that confer on it the old and much revered element of ritual, music. already established in the preceding stanzas. Thus it would appear that the poet believes that it is our dedication to beauty that will ultimately salvage our humanity. echo and re-echo in my head. I explode into laughter too. whisper sad memories to my ears. But his spontaneous observations of nature can be refreshing and rewarding. To me, however, the collection is overtly depressing. Perhaps it is meant to be so as most Jeremiads are. While I understand the tendency to sing dirges to the decaying country, I would rather appreciate a poet who draws our attention to the bright speck of hope in the overwhelming darkness of our humanity, and who does so in the most realistic form possible. Emeka Agbayi seems to be prepared to do exactly that especially in the last of the poems, ‘I Shall Return,’ which ends with the images of ‘flowers’ blossoming. The poem allows us to hope that this fine talent will not wilt in mind-crippling lamentations. EXELLENT COMING FROM A MIND THAT KNOWS ITS ONIONS.IT SHOWS WE NEED TO GET BUSY IMPLEMENTIG CHANGES. I couldn’t agee more! We are so wrapped up in ‘what to do about our politicians’ that we draw comfort from aportioning blame to them for everything that is going wrong both in our individual and collective lives as Nigerians. Although i have not read Ebereonwu’s poem(s) the inference i have drawn is based on my own observation of how quick many of our citizens are to loathing and hailing abuse on our leaders through our ever willing tabloid yet we complain about them not being transparent and accountable for all our social ills. for the benefit of Igbo speakers – ochoro mgbalaga arabiri anya yana nwenwe oso. In other words it is only a tree that you warn that you are about to fell that would stand still tell that to a human being he or she will run miles which is why we can only continue to speculate but without accountability we will never know the truth re: corruption and embezzlement let alone revise the nation’s strategic planning for desirable outcome for our country. while we are at it i would also mention similar thread in our music scene be it pop juju and in whatever nigerian language it’s all offering prayer or requesting ‘ALL THE GOOD THINGS IN LIFE’ from God while we carry on with our mendacity. i would appreciate info on where and how to grab a copy of the poem in question. thank you for this opportunity. Refreshing and reassuring piece of writing. Exquisite! I AM A JEALOUS LOVER OF POETRY,BUT MY COURSE IS LAW.HOW COULD I JOIN YOUR POETRY FRATERNITY? Fine review by a critic worth his work! 2VL = (C1 + C2). The writer of thie above tranchant critique, in all his politically correct humility (though i see commendable critical claws peeping out of his paws!) has understood this all too perfectly and his points should be considered seriously by the new generation of African writers. I just loved his even dose of non-complacency and commendations, where and when deserved! well thought out viewpoint. as one who has keen interest in poetry i found your piece on the failings of contemporary nigerian poetry very remarkbale and instructive. i don’t consider myself a real poet but i’ve been writing poems for at least a decade. i share your sentiments to certain degree: please keep it up. Obakanse S. Lakanse, I appreciate your writings but your sweeping criticisms and vitriolic commentaries need to be guided professionally. Most times your sentiments and pedestrain comparison weakened the signposting of your arguments.